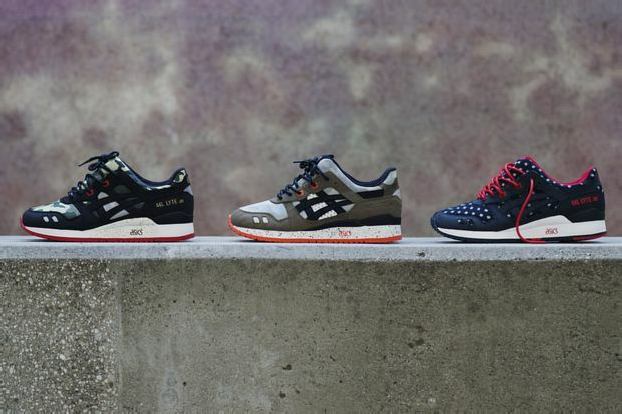 BAIT Diamond Bar and BAIT Orange County will begin accepting in-store reservations for the entire BAIT x Asics Gel Lyte III series beginning tomorrow, April 26! Continue reading for the full details.The final installment of the series, the Gel Lyte III “Nippon Blues,” officially launch on May 3. But starting tomorrow, customers can come into either BAIT location to reserve their pair – along with the first two, the “Vanquish” and “Guardian.” A $10 deposit is required to reserve each shoe, limit one style per customer. Each deposit guarantees that corresponding shoe for pickup on May 3. The remainder of the retail price is due on pickup ($140 per shoe). All reservations for the “Vanquish” come with a pair of BAIT-branded socks at the time of the deposit; “Guardian” reservations come with dog tags; and “Nippon Blues” reservations come with a pair of BAIT-branded socks. BAIT will also be opening the doors to its third location in Los Angeles on May 3 (7708 Melrose Ave, Los Angeles). Limited quantities of all three shoes will be available at this location on a first-come, first-serve basis.